At times, the wait has been excruciating, but at the ongoing Star Wars Celebration event in Orlando, Disney and Lucasfilm officially lifted the curtain on the first trailer for Star Wars: The Last Jedi – and I hope you’re ready for the next chapter in the Skywalker saga. From there, the trailer kicks into high gear, rolling out action shot after action shot of the Resistance locking horns with the First Order. Starkiller Base may be gone, pulverized into oblivion thanks to the heroics seen in The Force Awakens, but their power has in no way diminished, and you’ll also be able to spy a shot of Adam Driver’s mercurial Kylo Ren pointing his crossguard Lightsaber toward the oncoming Rey. Will The Last Jedi deliver another showdown between those two warring heroes? We’re inclined to believe so. All of this and more is teased up above, which will no doubt leave fans counting down the days until Star Wars: The Last Jedi lights up the big screen in December. It’s one of three tentpole Star Wars movies currently gestating over at Disney – that we know of, of course – with the other two being Star Wars: Episode IX and the as-yet-untitled Han Solo anthology movie, the latter of which is expected to bow in May of next year. 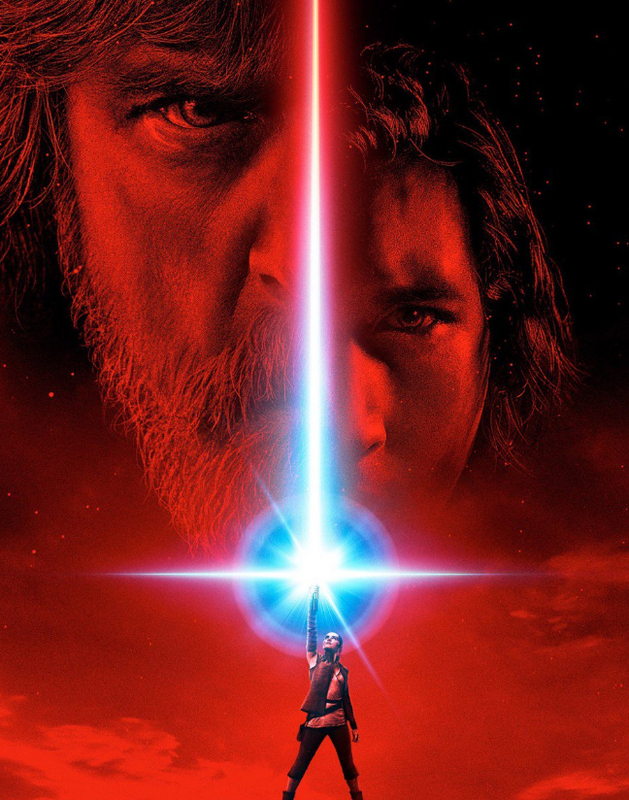 Star Wars: The Last Jedi makes a beeline for theaters on December 15th and as 2017 signals the franchise’s 40th anniversary, Lucasfilm has launched a new Force for Change campaign that will continue through until May 11th. Details of how to enter, along with the truly excellent prizes up for grabs, can be found here.